Power up in over 1M Android apps and games on Google Play, the world's largest mobile gaming platform. Use a Google Play gift code to go further in your favorite games like Clash Royale or Pokémon GO or redeem your code for the latest apps, movies, music, books, and more. Gift card issued by Google Payment Australia Limited Pty Ltd (GPAL). See play.google.com/au-card-terms for full terms. Users must be Australian residents aged 13+. Requires a Google Payments account and Internet access to redeem. Not usable for hardware and certain subscriptions. 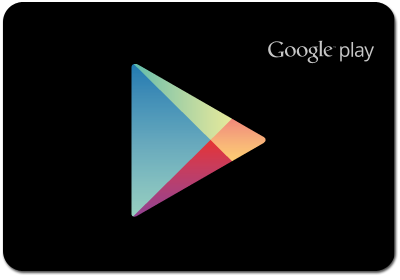 Usable for purchases on Google Play only. Other limits may apply. Card value expires 5 years following the date of (1) card issuance or (2) last activity on the Google Play stored value account to which the card is redeemed, whichever is the later. Except as required by law, card is not redeemable for cash or other cards; not reloadable or refundable; cannot be combined with non-Google Play balances, resold, exchanged or transferred for value. User is responsible for loss of card. For help or to view balance, visit support.google.com/googleplay/go/cardhelp.